Every season I like to try to grow one or two new things (with varying results) – last summer I tried tomatillos (fail – the plants were pretty and grew lushly, but never fruited and then died in the first frost). 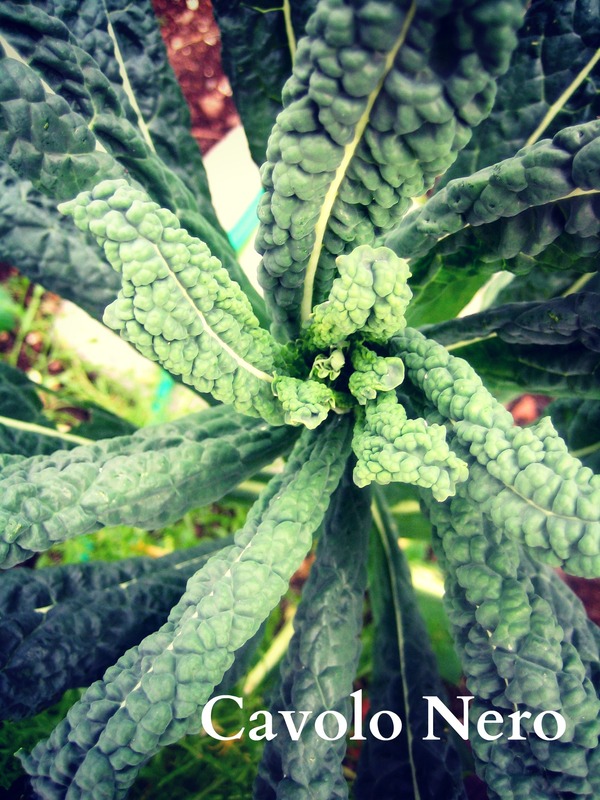 This winter, I grew my first curly kale and cavolo nero. 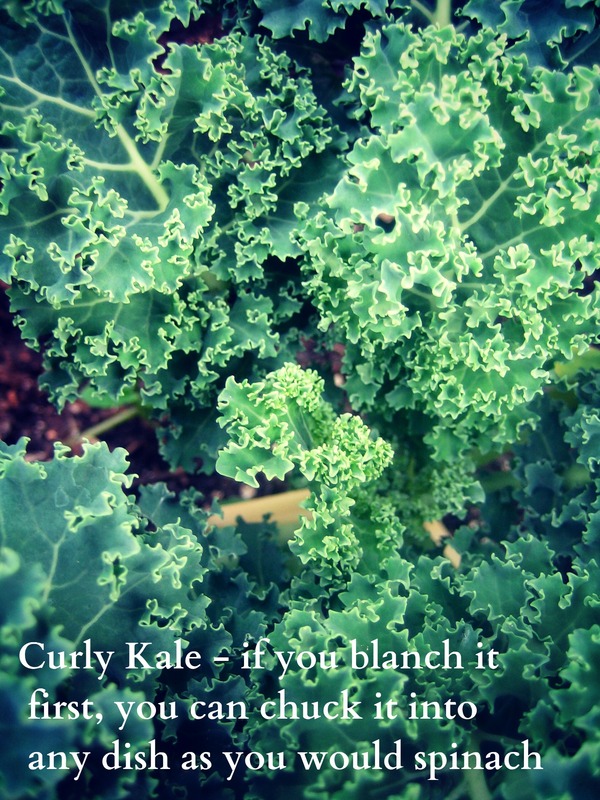 I have a self-seeding purple kale which springs up everywhere, so I will let a couple of these curly kales go to seed in the hope they do the same. The cavolo nero is such a handsome plant! It seems to like the conditions in the Manawatu, so I will definitely keep growing it. 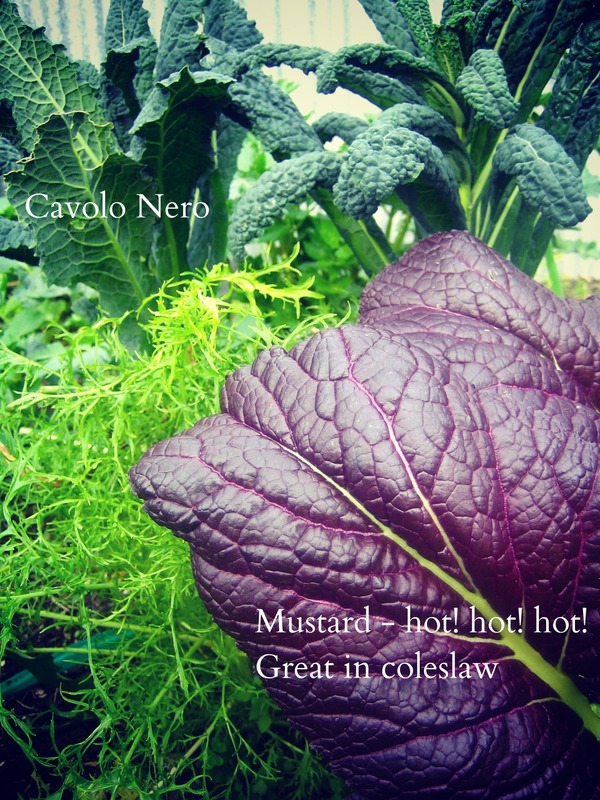 The mustard which grows in the Italian mix is HOT! It tastes like horseradish. 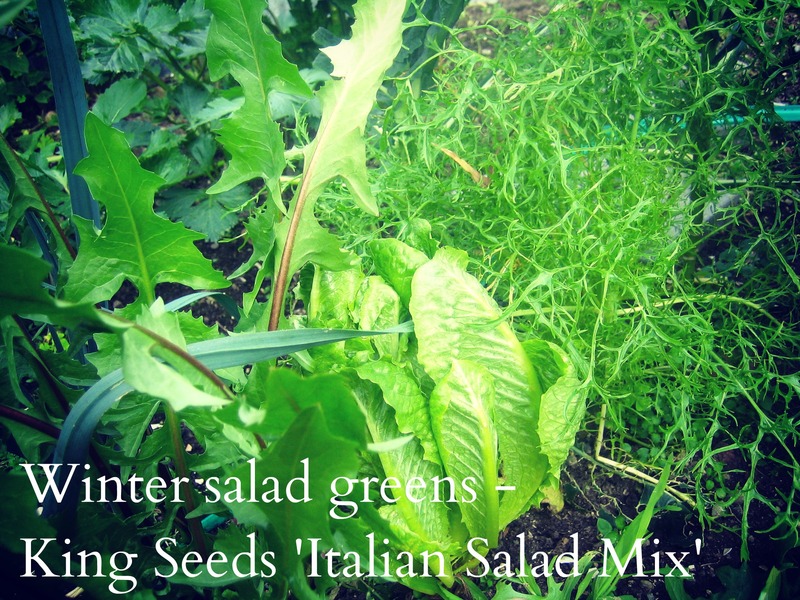 It’s intense, but one or two leave thinly sliced into a salad or coleslaw really adds a punch. It’s also great on a sandwich AND it’s so attractive, with the rich purple shiny leaves. 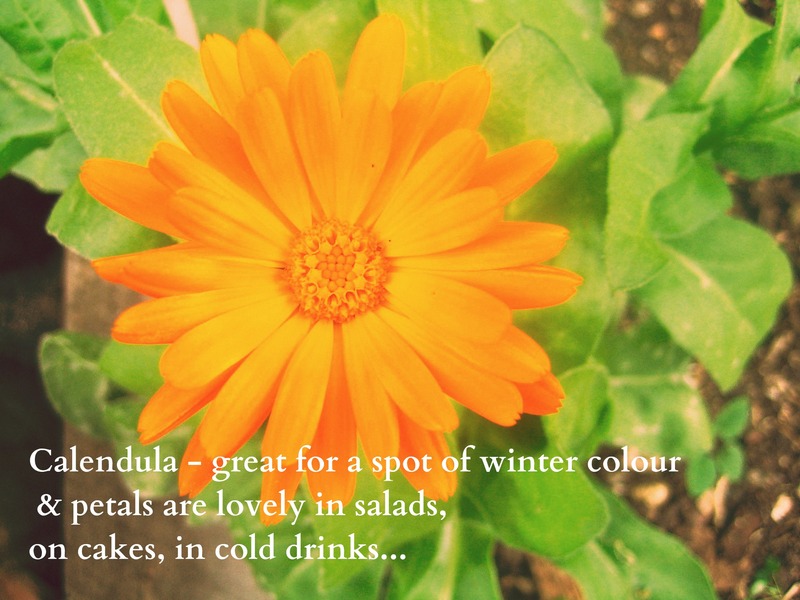 Your garden is looking beautiful Helen, it makes me want to grow purple mustard beside calendula! I love kale and made my first tasty sauerkraut with kale and cabbage and kolhrabi this year. Oh that sounds like a delicious combination for sauerkraut, Mariana! Yum! What fabulous yummy greens, very beautiful. I do not miss those late frosts in Palmy, it was corgettes we always managed to kill in them!